Rates may vary depending on location and number of students. Contact me for an exact quote. Riders may trailer in to Goodwin Stables for lessons on their own horse. 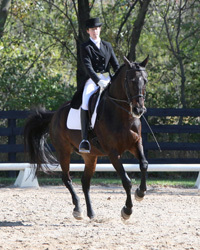 Janna does not have school horses, but can sometimes connect riders with privately owned horses that may be used for a fee. Package rates are per horse, and do not include board fees. With a package, owners may choose to use up to one session per week for a lesson. More lessons can be arranged for an additional fee. Complete policies and fee schedules can be found and downloaded on the New Student Information page. Individual lessons are payable at the time of the lesson, and 48 hour cancellation is requested. Non-refundable payment for monthly packages is due at the beginning of the month, with 48 hour cancellation required in order to receive a make-up time for missed sessions. Only in case of extended illness or lameness, or trainer cancellations may unused portions be applied towards a future month.